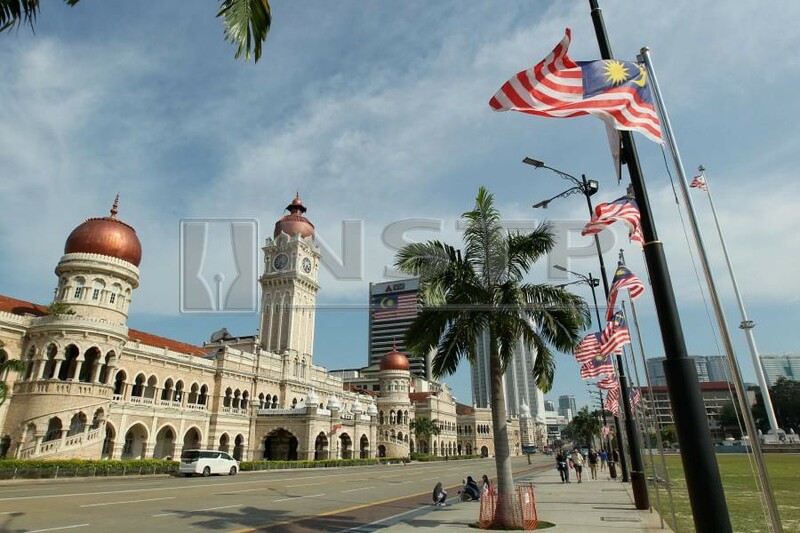 (Stock image for illustration purposes) Malaysia’s national identity components on religion, language and socioeconomic matters are incorporated in the Federal Constitution. The incorporation of these components is not to portray the supremacy of the Malays/Bumiputeras. SOCIETAL security in a plural state is the most delicate sector to manage. Before, this vulnerability was only politicised internally. Today, it is also internationalised, both by domestic and external actors. European scholars conducted extensive studies on national identity and societal security since the beginning of the post-Cold War era, after the horrific ethnic cleansing and genocide in Bosnia. But national identity and societal issues have always been regarded as one of the major causes of ethnic and religious conflicts in many plural states. For example, the “Hindu-Muslim riots in India in 1947 killed between 100,000 and 200,000 people and generated about 10 million refugees” (Stuart J. Kaufman  in Ethnic Conflict). The most recent threat to Malaysia’s societal security was the incident at a Hindu temple in Seafield, Selangor. Fortunately, our police were very efficient. Otherwise, unscrupulous elements might exploit it to become an identity crisis. This incident gained an international dimension when a Hindu politician in India submitted a memorandum to the Malaysian consulate in Chennai, alleging that the Malaysian government “was biased against Hindus in Malaysia”. Internationalisation of Malaysia’s societal and national identity issues also took place in 2007, when a group of activists sent a memorandum pertaining to alleged discrimination against Malaysian Indians to the British prime minister. They also filed a petition at the Queen’s Bench Division of the High Court of Justice in London, and launched an e-petition whose “main demand is for Putrajaya to repeal Article 153 of the Federal Constitution, which an activist claimed was the ‘mother’ of all Malaysian racist policies for the past 54 years”. It is the reality. “Societal security concerns the sustainability of traditional patterns of language, culture, religion, national identity and customs” (Barry Buzan  in People, State & Fear). It is also the truth. “State security concerns are about threats to its sovereignty, whilst societal security is about the threats to a society’s identity” (Waever, Buzan, Kelstrup & Lemaitre  in Identity, Migration and the New Security Agenda in Europe). The fact is such because societal security is about threats to the national identity of a state. Malaysia’s national identity components on religion, language and socioeconomic matters are incorporated in the Federal Constitution. The incorporation of these components is not to portray the supremacy of the Malays/Bumiputeras. These components already existed in several agreements and treaties between Malay rulers and the British government. For example, Article 153. “The special position of the Malays was recognised in the original treaties made by His Majesty in previous years, and Her Majesty Queen Victoria and others with the Malay States” (Alan Lennox-Boyd, Secretary of State for the Colonies, in British Parliamentary Hansard, Volume 573,12 July 1957). The incorporation of components of Malaysia’s national identity into the Federal Constitution was also carried out with careful balancing to protect the legitimate rights of all Malaysian citizens. Hence contents of the Federal Constitution were extracted from the results of 31 town-hall meetings conducted by the Reid Commission. Additionally, they were derived from 131 proposals submitted to the commission by various ethnic, religious, political and business groups representing the Malays, Chinese, Indians and others. The draft constitution was vetted by Umno, MCA, MIC and representatives of the Alliance, Malay rulers, Malayan Legislative Council, state assemblies, British government and British parliament. The concessions were granted to the other races after Tunku Abdul Rahman as Umno leader, made a gentle request to leaders of MCA and MIC. Tan Cheng Lock of MCA and V.T. Sambanthan of MIC agreed to the request. Hence, a social contract was sealed. As such, there is nothing sinister about Malaysia’s social contract. “It refers to the painstaking compromises between the ethnic Malays, Chinese and Indians on their bargains with the Malay Rulers for the creation of a democratic, monarchical, federal and non-theocratic systems of government” (Shad Saleem Faruqi  in the Bedrock of Our Nation: Our Constitution). With the above history of the Federal Constitution in relation to societal security and national identity, Malaysians must collectively strive to keep our country safe and peaceful.